On Saturday 23 April, The Birmingham Comics Festival comes to Edgbaston Cricket Stadium. And now in its second year, the guys behind The Birmingham Comics Festival have a grand plan for the future of the event – building on the success of the 2015 event and spreading their wings and influence across the whole city. No longer just a comic-con but a full blown festival, a number of satellite events have been scheduled to spread the word and grow the event. They clearly want to leave an endemic mark on the city for years to come. And in making many of these events free to all, they are certainly thinking beyond the capitalist confines of simply profiteering, but at bolstering and sustaining the thriving comic book culture within the city that has always been here, though subsiding, like Batman, in the shadows in recent years. The main event itself, The Birmingham Comics Festival, runs from 9am (for Early Bird ticket holders, or 11am for everyone else), over two halls. 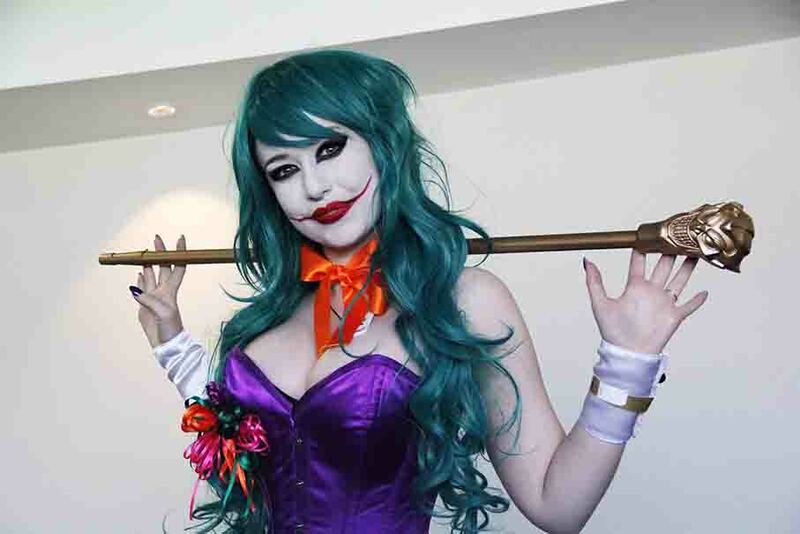 You will be able to take it all in, with one hall having a firm focus on comic book creators and comic book exhibitors and vendors, and the other showcasing other exhibitors of sci-fi, cosplay, gaming and the like. Along with these more established names, there will be the chance to delve into the vast and varied world of indie publishing, with several comics launching at the festival. Having covered cons for nearly three years now as a roving reporter of geek culture, and a self-confessed aficionado, more and more I find I am drawn to these indie titles and the diversity they offer in terms of storytelling and subject matter. For me, these cons are about finding those hidden gems, or stumbling upon tomorrow’s Neil Gaiman or Amanda Connner. So have a sneak peak at a few new titles ahead of publication: Steve Tanner from Time Bomb Comics, will be debuting his Flintlock comic, set in the 18th Century, Planet Jimbot will launch their new comic, Samurai, as will local first timers, Joe Krawec and Angus Medford with their book, Blood. There are, of course, far more than these names to salivate over, so why not take a look at the complete list – click here. And, if your love for pop culture is not simply as a devourer of the four coloured page, there are other sights to see across the day, with one of the big pulls guaranteed to be the chance to have your photo taken with The Tumbler, from the much-loved Christopher Nolan helmed Batman trilogy. Originally touted as a ticket only opportunity, it was soon realised that demand was far too large to ignore. You can’t say they haven’t listened to their fans, at least. There’s plenty to do, and that’s before the panels have been announced, which will run throughout the day and will probably take on a diverse range of themes if last year’s panels on superheroes and films, women creators in comics and a panel on 2000AD, are the litmus test to go by. Oh, and there will be cosplayers too. There’s always cosplayers. They bring an added element of fun and frollicks to the whole day. Why not get dressed up yourself and join the party. Tickets are still available, and many of the events leading up to the big day are free. For a full list of satellite events, click here – with a few highlights below. A regular meet up with guest speakers of the female variety (but not exclusively) sharing their passion for comics and their own work within the field. This time round guest speakers will be artist Verity Glass (cover artist for Titans Comics’ Dr Who as well as IDW’s Independence Day comic series), Coventry-based cartoonist and illustrator Caroline Parker and Birmingham writer and editor Paul H Birch. Again at The Victoria Theatre Bar, and supported by Nostalgia and Comics, Birmingham’s longest running comic book emporium, is the return of the intensely competitive Quiz Night. The winner gets to walk away with an original piece of artwork especially commissioned by one of the big name artists present at the festival. Last year’s lucky winner took away an original Hulk drawn by Mark Buckingham (Vertigo’s Fables) and inked by Mark Farmer (who I will always associate with his partnership alongside artist Alan Davis on Marvel’s Captain Britain). Mike Carey, or rather M R Carey when wearing his author’s hat, is in town and signing his new novel Fellside at Waterstones on the High Street. Expect a range of fans there for his novels (The Girl With All The Gifts is about to be released as a major movie adaptation starring Glen Close and Gemma Arterton) and his comic work (Lucifer, Fantastic Four and X Men). Two courses, two different demographics. Firstly, there is the child friendly Creating Comics workshop, on Saturday 9th and Sunday 10th April at mac (11am – 1pm) aimed at children aged between 8 – 14. And, if they can talk their parents into it, an hour later at 2pm, there will be a screening of The Iron Giant to round off a busy day. Then, there is the more intense adults’ course, starting on April 15th and running every Friday (7.30pm – 9.30pm) for 13 weeks costing £120/£96 with concessions. Both are hosted by Chris Hamilton. mac is a popular venue for the middle classes of Moseley and beyond, so be warned, if you want a place get in there quickly otherwise you may be disappointed. Hosts Simon Myers and Nigel Hopkins return to the Edwardian Tea Rooms in the Birmingham Museum & Art Gallery, providing the theme and the pens, pencils and paper. Expect a comic book related theme I imagine. A huge number of willing participants turned up last time (I’m talking HUNDREDS of people) and there are already over 600 people showing interest in this one. A hugely popular evening and a great setting too. The Birmingham Comics Festival comes to Edgbaston Cricket Stadium on Saturday 23rd April, running from 9am-6pm.